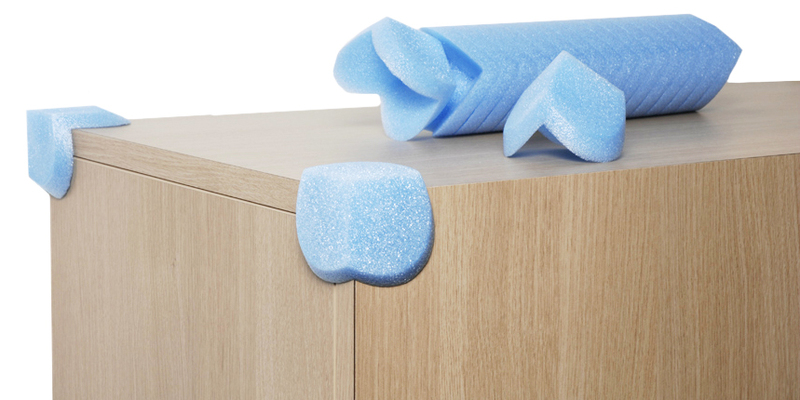 These blue foam corners protectors provide perfect corner protection, especially when moving, shipping or storing furniture, worktops or white goods. Cleverly designed with an all-round 3-D shape, our corner protectors act as superb shock-absorbers as well as protecting delicate or lacquered surfaces from scratches. 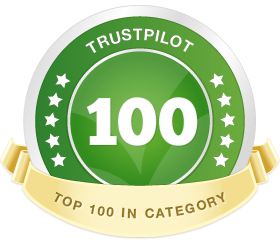 The non-abrasive polyethylene foam is soft but tough, and safe to use even on antique tables and chests. 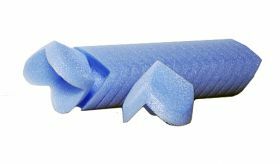 Our blue foam corners are ideal to use on items that will be shrink-wrapped, preventing sharp corners from inflicting damage or being damaged while in transit. You can also secure them with stretch film or adhesive tape before wrapping, as appropriate. 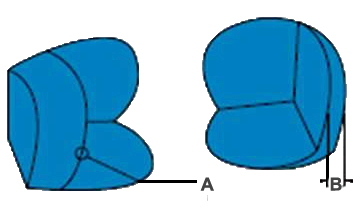 Our durable blue foam corner protectors for shipping items with sensitive surfaces are supplied in economical packs of 500. The round-cut pieces measure 100mm in diameter x 30mm thickness, offering a reliable cushioning and protective packaging solution. Made from soft but hard-wearing low-density polyethylene material, this foam protection is suitable for packing or posting a wide range of goods, but notably counter tops, white goods and items of furniture with lacquered or special-coated surfaces. 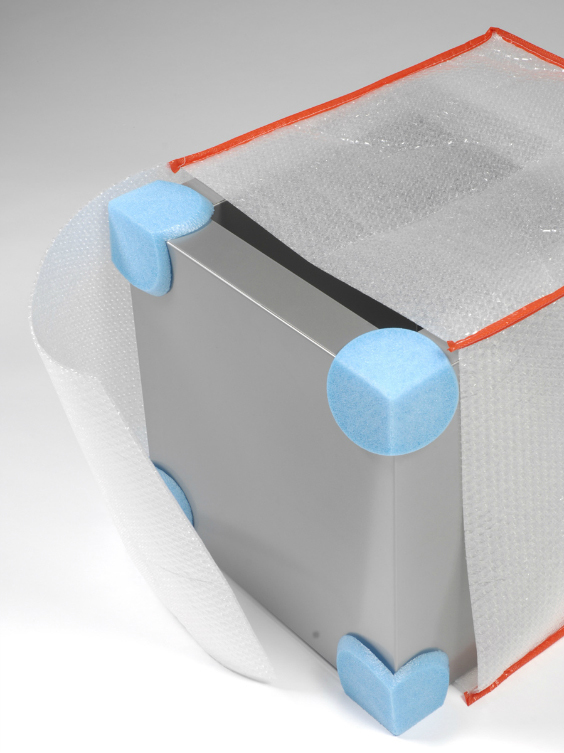 Corners are the most vulnerable areas of any item and can easily suffer from impact damage, but you can be assured that our foam packing corners give vital 360 degree protection in addition to guarding from scratches. To protect your items, attach the packing corners with tape or stretch wrap before completing your packaging as usual, for example with bubble film, paper blankets or pallet wrapper. You may also wish to use edge protectors. Our blue foam corner protectors are strong and reusable, further saving you money.